Searching for the right cat toys isn’t as easy as many think. Our furbabies have their own personalities and motivations. 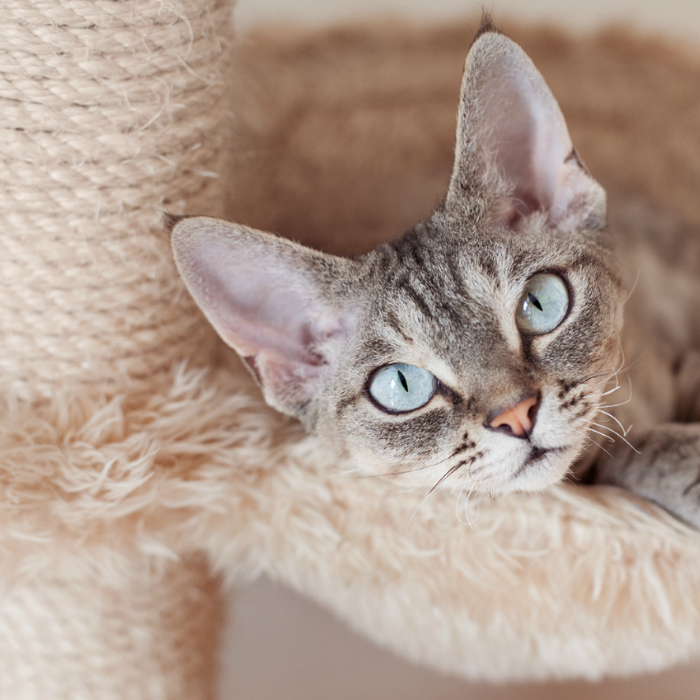 We’ve gathered the top 5 best selling cat scratchers, catnip toys, and cat condos to help you narrow down your search. Are you a proud cat owner? Which one of these cat toys do you think your feline friend will love the most? The Bergan Turbo Scratcher Cat Toy has a scratch pad that is durable and will provide hours of fun for your cat. Along its circumference is a channel for a small ball to be pushed and played with. The scratch pad is replaceable which is ultra convenient for any pet owner. Now, what kitty doesn’ t like lounging around? Get your loved one this luxurious scratcher lounge by PetFusion so that he/she can scratch in style. The KONG brand can help get your kitty off the furniture because they will love scratching the Natural Incline Scratcher Cat Toy instead! Fluffy will love it because of the American-grown catnip it’ s included with. This scratcher acts both as a floor scratcher and inclined scratcher. It’ s compact, so it will go seamlessly in any room. Comes with organic catnip that your purring friend will adore! Looking for something easy to store away? this hammock scratcher can be folded up when it’ s not in use. Its design is sturdy, making it safe for kitty to scratch and play away. If you’ re longing for something more interactive, then these Feather Teasers by KONG will have kitty cat wanting more. Comes with premium North American catnip, these dangle toys have bright feathers and a crinkle sound to them. Cats love the love the Catit Senses 2.0 because of the multiple tubes, which encourage natural pawing behavior. Can be used with a variety of treats. Make your feline friend go bananas over this, well… banana! A simple toy that your cat will love, all you have to do is fill ‘ er up with some catnip and you’ re good to go. Cats can hardly resist Bergan’ s Catnip Hurricane Toy. All you have to do is place catnip in the center and push the balls to go round and round. Kitty cat will be entertained for hours on end. Turn your cat’ s attention to his own little plant. The Catit Senses 2.0 Planter is made to tickle kitty’ s senses by touching, tasting and smelling. Try the easy catnip creations in these DIY cat toys. The cube shape to this cat condo is sturdy yet, comfortable. Your cat will feel on top of the world when he/she sits atop his/her beautiful abode. Not digging the look of a litter box in the corner of the living room? This cat condo is sleek, stylish and also disguises those unsightly litter boxes. Are you all about multifunctional furniture? This sturdy piece acts as a side table and a cat home. If kitty is all about comfort, then Kitty Zen Den Cat Hideaway is the perfect cat house for him/her. 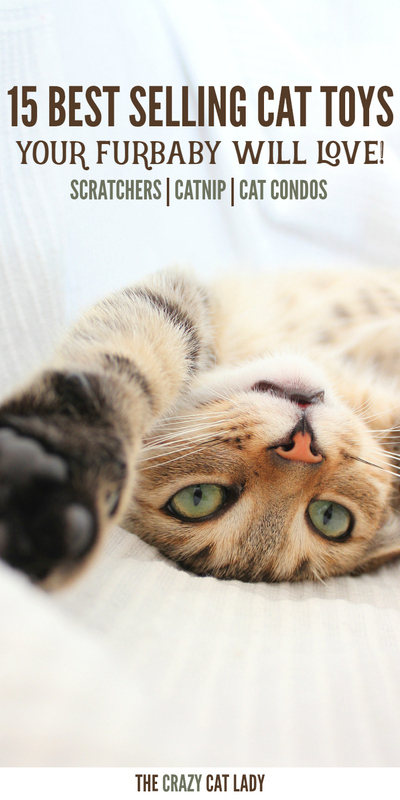 It will provide your cat with soft cushioning and an elevated lounging spot – and what kitty can deny some good ol’ relaxation time? The ultimate in cat condos, Furhaven Tiger Tough Cat Tree Furniture features a multi-level playground with plush fabric. It also has scratch-friendly posts and various toys to keep your furry friend entertained for hours on end. These are the top 15 best selling cat toys from Amazon, but we’ d love to hear if you make your own cat toys. We know the amount of love and dedication that must put into such a project so we’ d love to share them along with your fabulous feline!